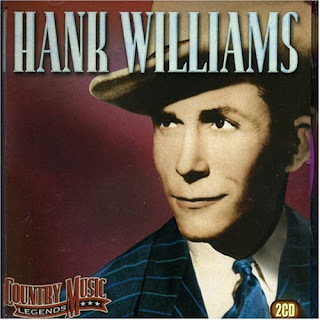 MISSION ESL COMPUTER LAB: Hank Williams: He Wrote Songs About Love and Heartbreak. 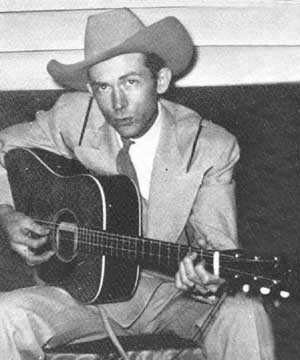 Hank Williams: He Wrote Songs About Love and Heartbreak. PEOPLE IN AMERICA -- a program in Special English by the Voice of America. Hank Williams was born in nineteen twenty-three on a small farm near Mount Olive, Alabama. Like most people at that time in the southern United States, the Williams family was poor. Hank's father could not work. He had been injured in World War One. He spent many years in a hospital when Hank was a boy. The Williams family did not own many things. But it always had music. Hank sang in church. When he was eight years old, he got an old guitar and taught himself to play. From then on, music would be the most important thing in his life. By the time Hank was fourteen, he had already put together his own group of musicians. They played at dances and parties. They also played at a small local radio station. 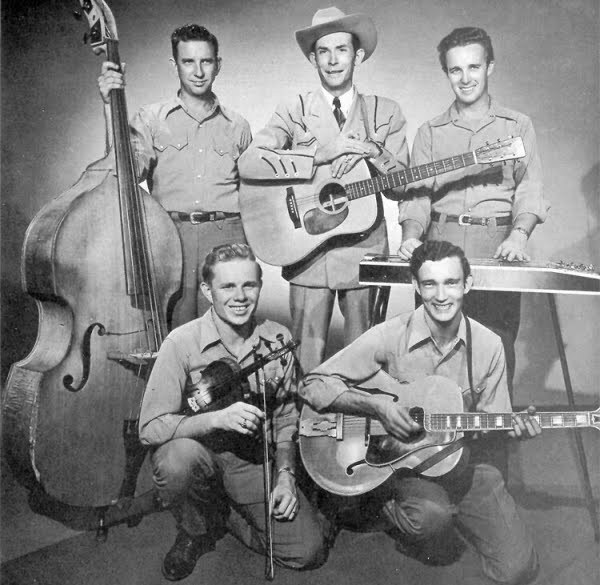 They were known as "Hank Williams and his Drifting Cowboys." For more than ten years, Hank remained popular locally, but was unknown nationally. Then, in nineteen forty-nine, he recorded his first major hit record. The song was "Lovesick Blues." Hank Williams and his group performed "Lovesick Blues" on the stage of the Grand Ole Opry house in Nashville, Tennessee. People in the theater would not let him stop singing. They made him sing the song six times. After years of hard work, Hank Williams had become a star. Hank wrote many songs in the years that followed. Singers are still recording them today. They may sing the songs in the country and western style -- the way Hank wrote them. Or they may sing them in other popular styles. Either way, the songs will always be his. 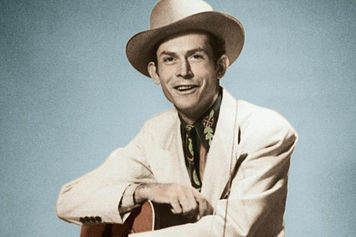 Hank Williams wrote both happy songs and sad songs. But the sad songs are remembered best. "Your Cheatin' Heart" was written in the early nineteen fifties. It has been recorded by more than fifty singers and groups in almost every style of popular music. Many years after Hank Williams' death, new fans of his music have asked why he could put so much of his life into his songs. There is no easy answer to that question. Hank Williams had many problems during his life. He and his wife Audrey did not have a happy marriage. Many of his songs seemed to ask: “Why can't we make this marriage work?” Many people knew that when Hank sang this song, "Cold Cold Heart", he was singing about his wife and their problems. Those who had similar problems felt that Hank was singing about them, too. Hank Williams drank too much alcohol. Those who knew Hank Williams say he did not have [insert caption here]the emotional strength to deal with his problems. They say he often felt he had no control over his life. Everything seemed to be moving too fast. He could not stop. And he could not escape. He had money and fame. But they did not cure his loneliness, his drinking, or his marriage problems. Hank was always surrounded by people, especially after he became famous. None, however, could break through the terrible sadness that seemed to follow him everywhere. One song, "I'm So Lonesome I Could Cry", expresses his feelings of loneliness. When Hank Williams began to record his songs, country and western music was not popular with most Americans. It was the music of the poor farming areas of the South. However, because Hank's songs told of real-life troubles with such great emotion, something unusual began to happen to his music. Radio stations that had never played country and western music began to play Hank Williams' songs. Famous recording stars who never sang country and western music began recording songs written by Hank Williams. He had created a collection of music that stretched far past himself and his times. Hank Williams' life and career were brief. He died on New Year's Day, nineteen fifty-three. He was twenty-nine years old. You have been listening to PEOPLE IN AMERICA, a program in Special English by the Voice of America. Your narrators were Larry West and Tony Riggs. PEOPLE IN AMERICA was written by Paul Thompson. 1. The poorest region of the United States between World War I and World War II (1918-1939) was___________________. 2. Hank Williams’ family was extremely poor because ______________________. 3. Hank Willliams began to play professionally when he was___________________. 4. His first hit record was______________________. a: "I Want to Hold Your Hand"
5. A famous country music theater in Nashville, Tennessee is called___________________. 6. Hank Williams was addicted to______________________. 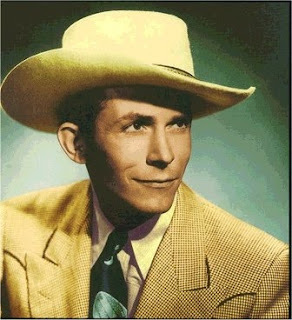 7.According to the story, Hank Williams suffered from___________________. 8. Hank William died when he was______________________. 9. This story is mainly about___________________. d: poverty in the U.S.
10. Another possible title for this story could be______________________. Hank Williams on Youtube. "I'm so lonesome I could cry" The lyrics are on screen. 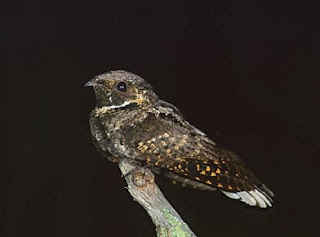 Whippoorwill in Spanish: "chotacabras", in Chinese: "夜鷹", in French: "engoulevent", in German:"der whippoorwill", in Arabic: "ضعف الإرادة كرباج", in Portuguese: "curiango"